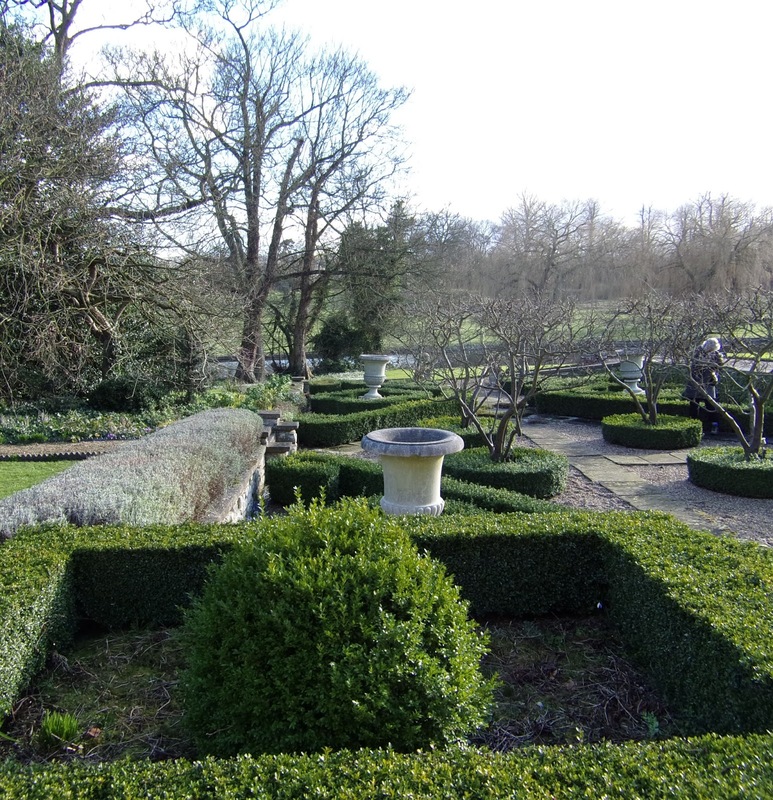 Having visited Brightwater Gardens, we then went on to Hackthorn Hall, part of the Hackthorn Estate. 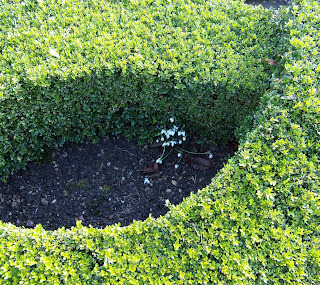 The gardens are open three times a year and this was the first time this year, opening for the snowdrops. 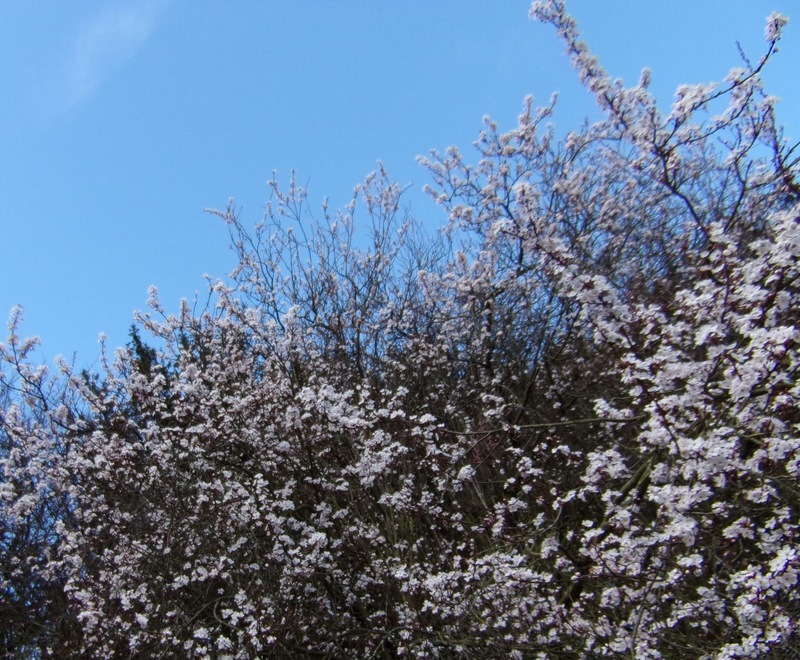 When I looked back at my photos, snowdrops didn't figure very highly - I was obviously more interested in the box hedge and the blossom. 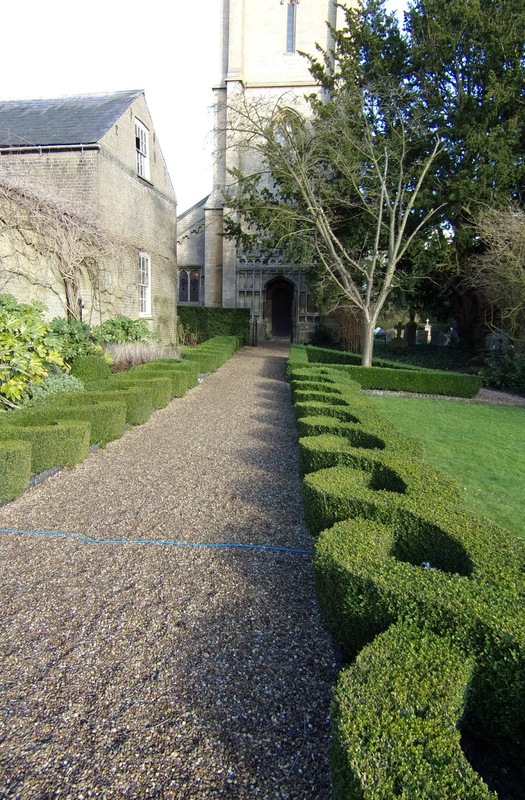 The box hedges either side of the path leading to the church were cut into a beautiful undulating pattern. 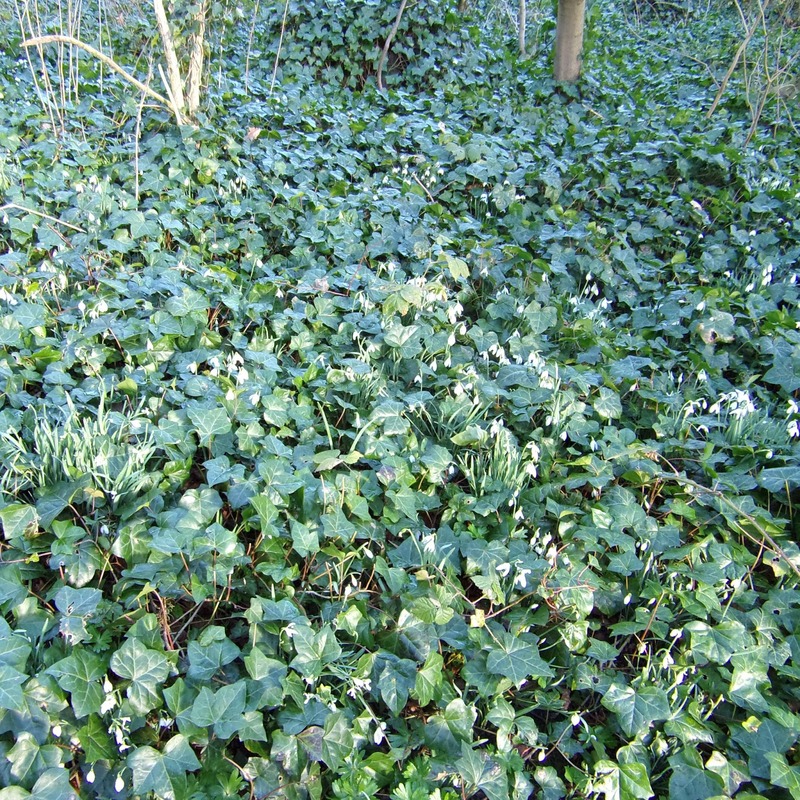 I did take this photo of a clump of snowdrops growing inside the hedge. This formal garden appealed to me and I'm sure that the summer planting will soften the lines. 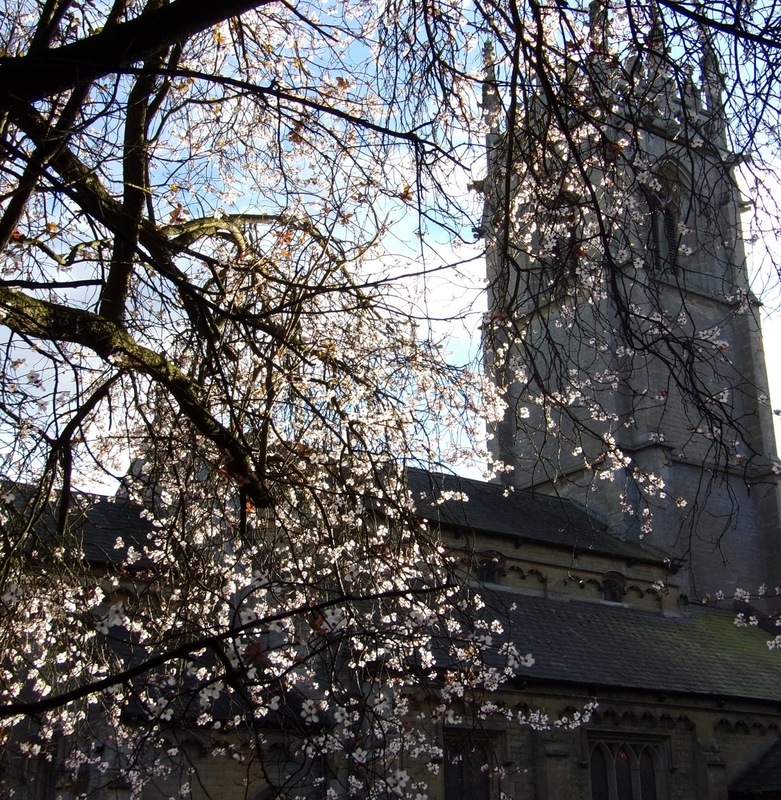 Looking back towards the church. 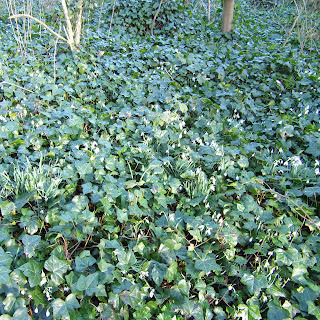 We wandered through the woodland and I liked the ground covering ivy, camouflaging more clumps of snowdrops. 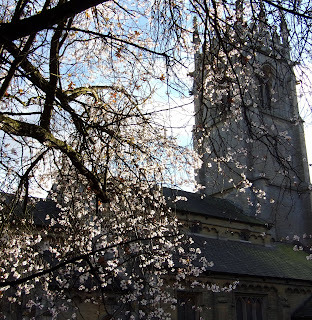 I loved the image of the church as seen through the blossom and sunshine. We went to the walled garden, which has several greenhouses, one containing the second oldest grape vine in the UK, after the one at Hampton Court. We stopped off at the village hall for tea and crumpets and then made our way home, after a lovely day. What beautiful gardens. Thank you for taking us along on your garden walk. Thanks, Kim. 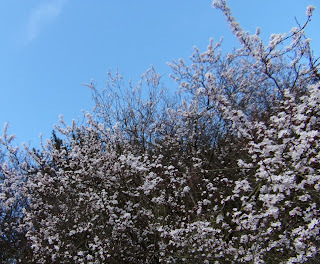 It was a lovely way to spend a sunny (but cold) day! The tea and cake/crumpets were much enjoyed too. 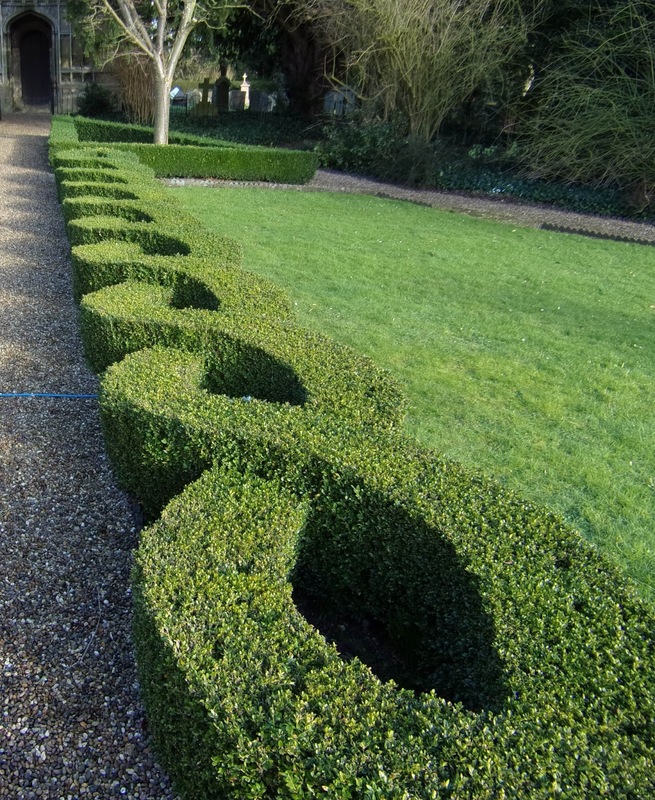 The clean undulating lines of that box hedge are amazing. And what a lovely, lovely day you had. Heart balm at its very best. Thanks, EC. It was a lovely day and definitely food for the soul. 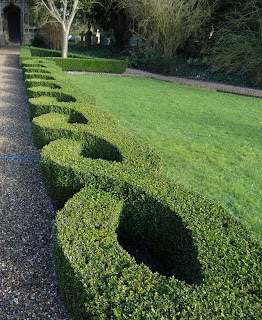 The box hedge intrigued me and was perfect in its setting. Wow those hedges are really a work of art! Beautiful pictures... Love from Mirjam. Thanks, Mirjam. 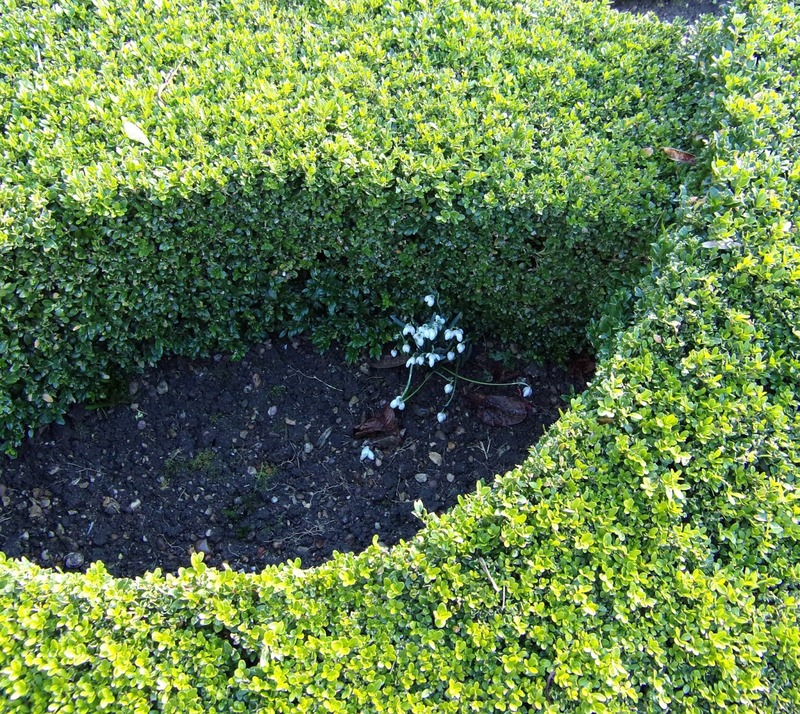 I wouldn't have liked to be the person responsible for clipping the box hedges! We had a wonderful day. 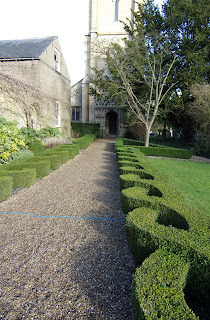 Hedges are lovely, I love clipped box. Thanks, Marlene. This one looked beautifully cared for with its crisp edging. I have a few box bushes in pots at home, but they never look quite as good as that! Thanks, Debbie. Both gardens were lovely and a good contrast to each other. Brightwater Gardens is one of my favourite local gardens and the owners are always very welcoming. Hello, dear Ellie! What a joy to pop in for a visit. Your photo on the side about house work being evil and needing to be stopped gave me the giggles :) I agree! Your photos are simply lovely! Thank you so much for sharing them. Thanks, hello and welcome, Stephanie. Good to know that someone else out there doesn't enjoy housework! I am looking forward to the Mug exchange and I am sure it will be a successful swap.